Do you collaborate with other writers on screenplays or treatments? 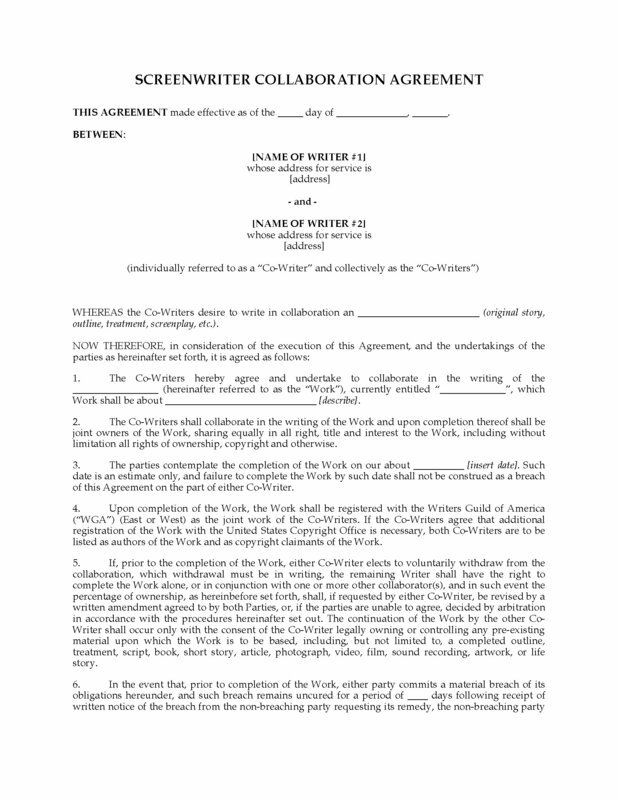 Put the terms of your relationship in writing with this USA Collaboration Agreement Between Screenwriters template. 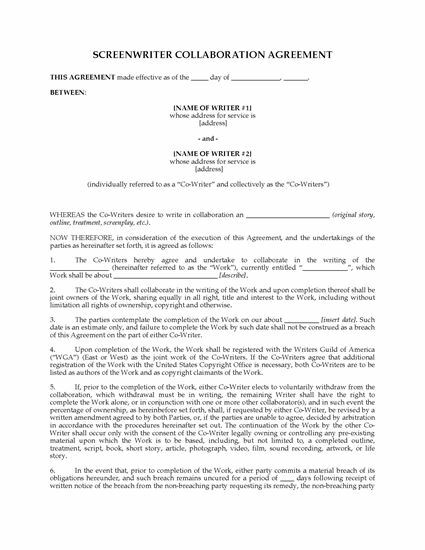 The agreement is between the writers themselves and not with a production company. The agreement covers the relationship between the writers with respect to creation and protection of the material. The work will be registered with the Writers Guild of America and the US Copyright Office (if applicable) as a joint work. If either writer pulls out of the arrangement, the remaining writer has the right to continue the work alone or in collaboration with another writer. Neither party can sell or dispose of the work or their share in the work without the written consent of the other party. 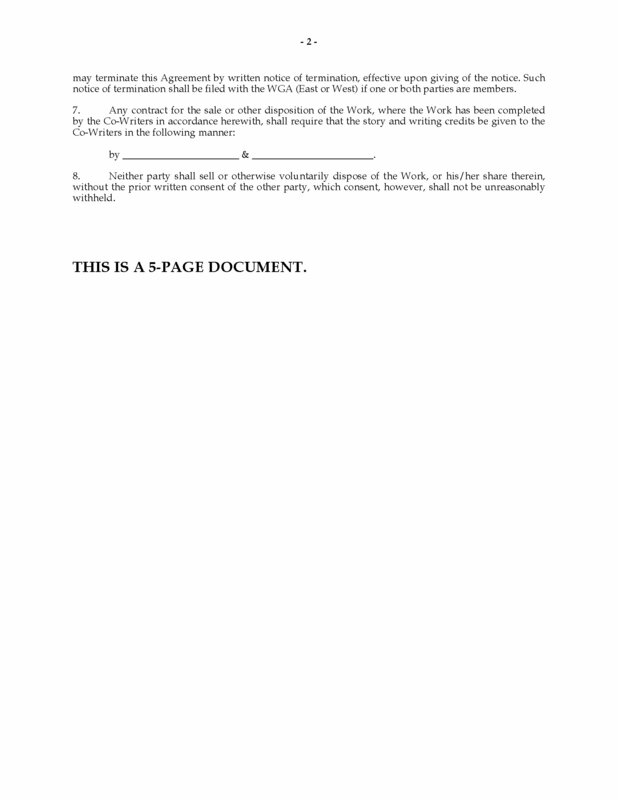 Optional clauses to be used if either party is represented by an agent, which can be removed if not applicable. The parties will share the proceeds of any sale according to their percentage ownership in the work. The template refers to United States laws, but it is an editable document and could be adapted for use in other countries. Protect your rights in your work. Sign this USA Collaboration Agreement Between Screenwriters before you and your co-writer start work on the project.